The planning committee for Valco@21 hall week celebration and the Entertainment committee of Valco hall have outdoored the official teaser for this year’s hall week celebrations. 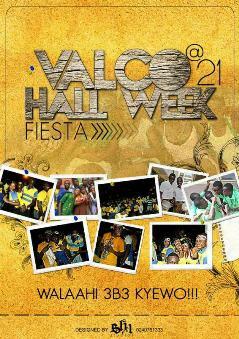 The catch for the celebrations is Valco@21 Hall Week Fiesta..Walaahi 3b3 Kyewo!!! This year’s hall week celebration marks the 21st anniversary of the hall. In a conversation with choicism.com, the Entertainment Chairman of the hall, Koo Phante mentioned that this year’s week celebration would be the best among all the halls in UCC due to the interesting programs lined up before, during and after the hall week. 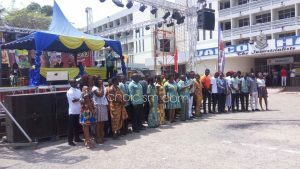 He also said the entertainment crew of the hall is set for the big activities outlined for the week celebration including Valco pre-hall week pool party at the Elmina Beach Resort and the after party fiesta at Mable stable where there would be an exposure party for the contestants of Face of Valco. The hall week would start from 11th to 17th March 2013. 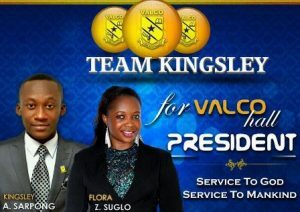 Valco @21 hall week, Walaahi 3b3 Kyewo!!!! !